Listen to "This Boy's Life" on your iOS and Android device. First published in 1989, this memoir has become a classic in the genre. With this book, Wolff essentially launched the memoir craze that has been going strong ever since. It was made into a movie in 1993. 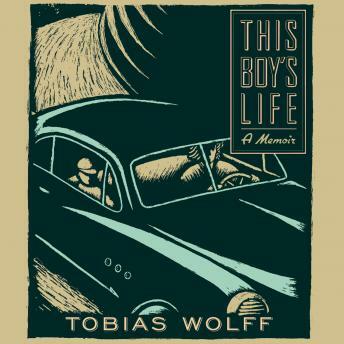 Fiction writer Tobias Wolff electrified critics with his scarifying 1989 memoir, which many deemed as notable for its artful structure and finely wrought prose as for the events it describes. The story is pretty grim: Teenaged Wolff moves with his divorced mother from Florida to Utah to Washington State to escape her violent boyfriend. When she remarries, Wolff finds himself in a bitter battle of wills with his abusive stepfather, a contest in which the two prove to be more evenly matched than might have been supposed. Deception, disguise, and illusion are the weapons the young man learns to employ as he grows up, not bad training for a writer-to-be. Somber though this tale of family strife is, it is also darkly funny and so artistically satisfying that listeners come away exhilarated.